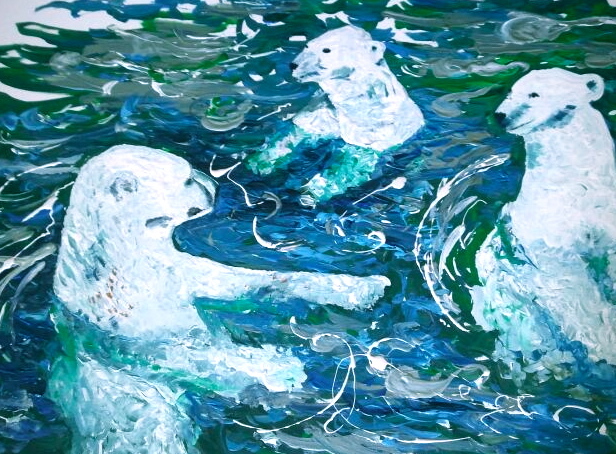 Whimsical and fun, this polar bear family may be at risk of losing their natural habitat. but you would never know it from this painting. Inspired by my son’s passion to save the polar ice cap and keep these bears from going extinct, this painting is near and dear to our family. 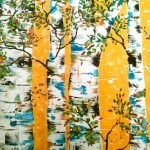 I love the Birches you painted for us. They hold a special place on our walls of paintings.